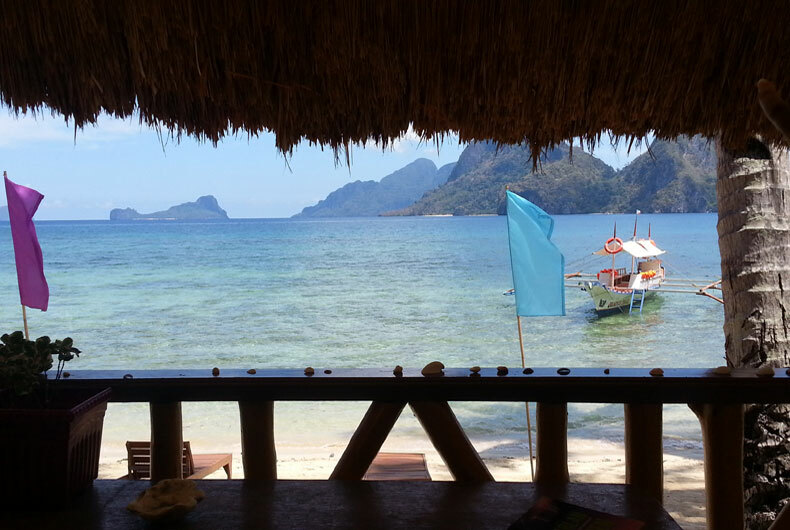 We try to always be able to offer you special deals and discounts in El Nido. A confirmation email will be send. Please confirm your subscription to receive our alerts. In the north of the island of Palawan, southwest of the Philippines, the ordinary aspect of the city of El Nido highlights the contrast between the mundane and the sublime. The town of El Nido (“the nest” in Spanish) is located 238 km northeast of Puerto Princesa, the capital of Palawan. There were human traces found here dating from 2680 BC. Several fossils and funerary sites have been discovered, and the most spectacular site is the cave of Ille in New Ibajay, about 15 km from El Nido. Bones from more than 8,000 years ago were discovered there by archaeologists. In the 1800s, Spanish settlers discovered this side of the island and decided to call it “Bacuit“. It is only in 1954 that the town acquired its current name of “El Nido” because of the numerous edible nests of salanganes in the surrounding area. These birds use the small cracks of the limestone cliffs to build their nests (sold by locals for about $3000 a kilo). 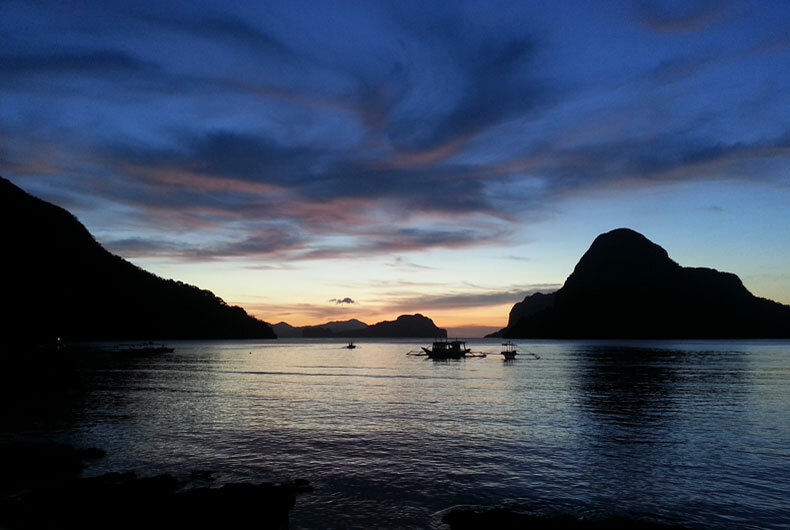 There almost always has been a strong migration to El Nido. There are members of the different ethnic groups of the Philippine islands, such as Tagalogs, Visayans, or Bicolanos, as well as Chinese, Spaniards, and a small number of Germans. Consequently, apart from Filipino, people often speak English. The economy of El Nido is obviously focused on tourism, as several scuba diving sites are known all over the world. There is also some agriculture: coconut, cashew nut, banana, and mango are the most common crops. The biodiversity of Palawan is incredible, and several animal species are endemic to the island. Unfortunately, this natural abundance is threatened by overfishing, deforestation, and pollution. 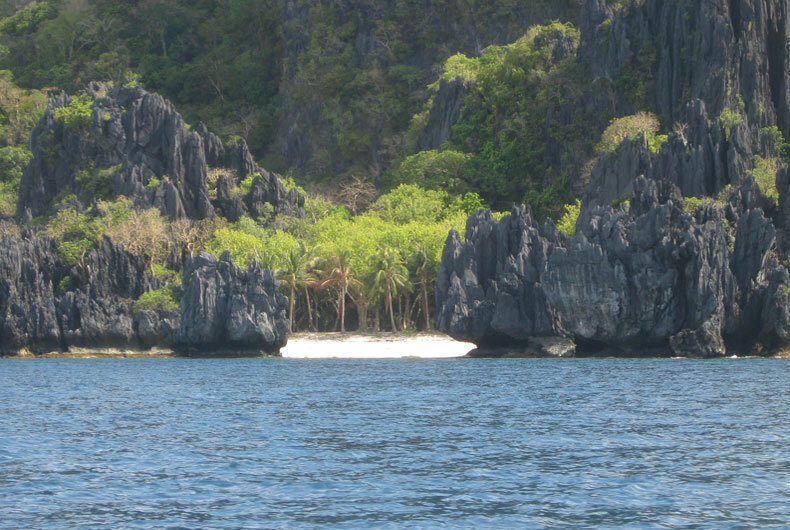 To fight these threats, the government has designated El Nido as a “protected area”. This protection includes a marine area of 360 square kilometers, the entire Bay of Bacuit (including its islands), the land portion of El Nido, and part of Taytay. This area is called the El Nido-Taytay Managed Resource Protected Area. It is a good thing that the Philippines protects this territory, since it contains unique fauna and flora. Several marine mammals endemic to Palawan live there, including the Irrawaddy dolphin and the dugong. In December 2007, National Geographic chose Palawan, El Nido to be precise, as one of the best destinations in the world. Need we say more? 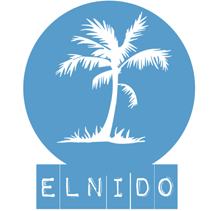 EL NIDO MUNICIPAL TOURISM OFFICE is now collecting Eco-Tourism Development Fee (ETDF). This Php200.00 contribution will go to the municipality’s environmental protection program and improvement of tourism support services. Thank you and hope you enjoy your stay here in El Nido!